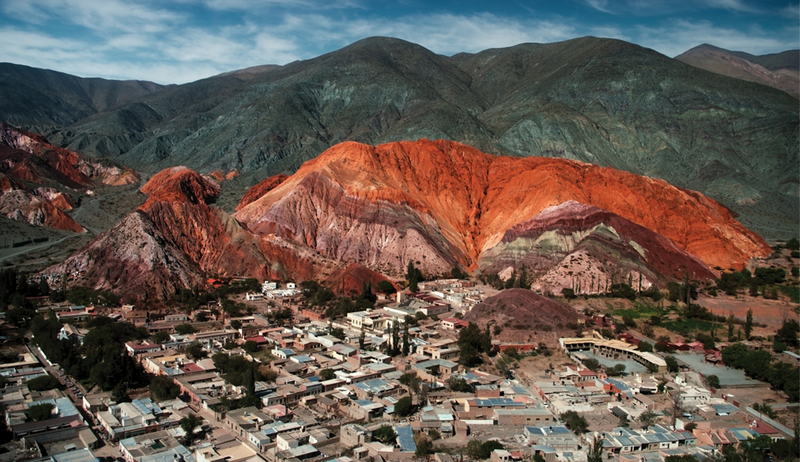 As though decorated on a canvas by a master Argentinian painter, the Cerro de los Siete Colores is truly a beautiful sight to behold. Translated into English as ‘The Hill of Seven Colours’, the Argentinian landmark is an enchanting array of layers that stretch over the idyllic countryside. Formed 75 million years ago by geological dispositions of sea, lake and river movements, the various pigments layered in the sediment really cements it as a top holiday destination. The local township, Purmamarca, boasts a thriving destination for tourists on the backdrop of these mountains. In the Quechua tongue, Purmamarca translates to ‘Town of the Virgin Land’. A go-to destination for tourists who enjoy looking at the beauty of this natural phenomenon.